Becky finally got a few days off, so we drove up the east coast to Napier in Hawke’s Bay. The city is best known for its Art Deco architecture, courtesy of a major earthquake in 1931 that left most of the city needing rebuilding. Many of the buildings have been preserved to showcase the unique style, leaving it with the highest concentration of Art Deco structures in the world. 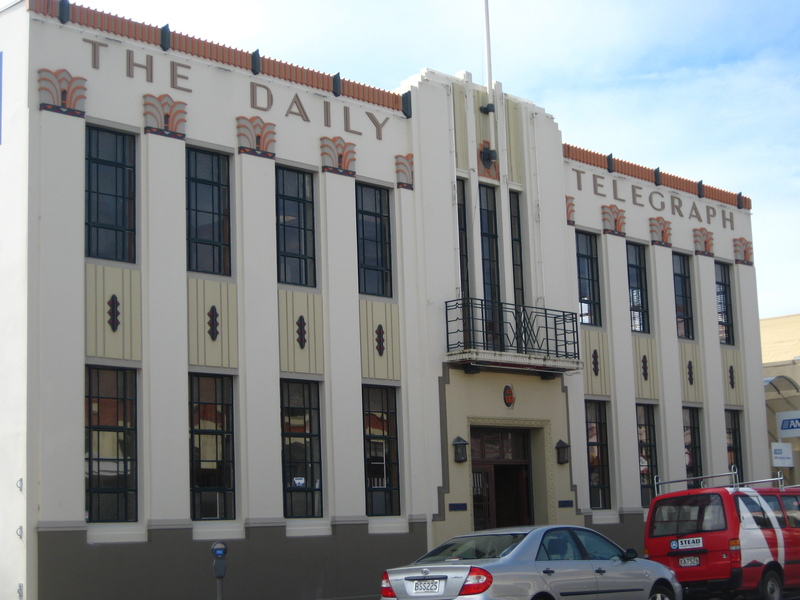 The local newspaper office from the 30s - it's now a realty company, but the art deco design is preserved both inside and out. 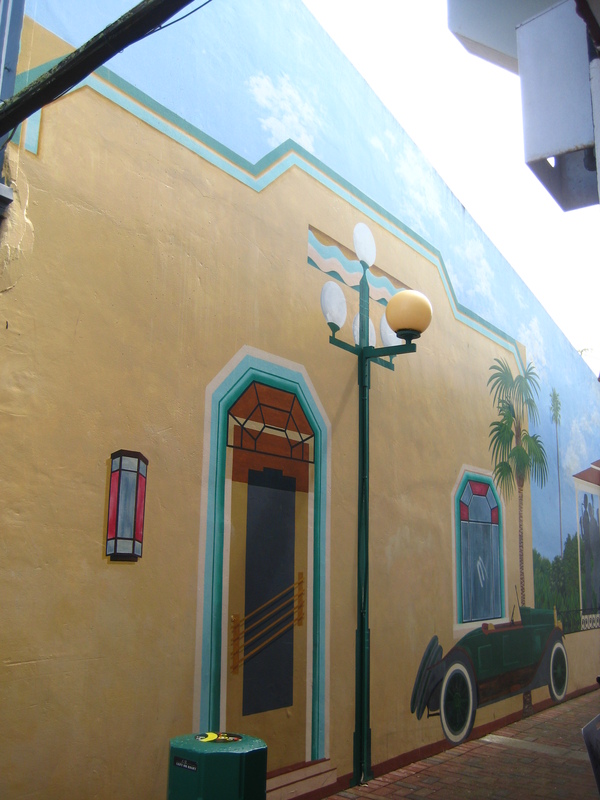 A mural on an alley wall - check out the streetlight emerging from the painting. 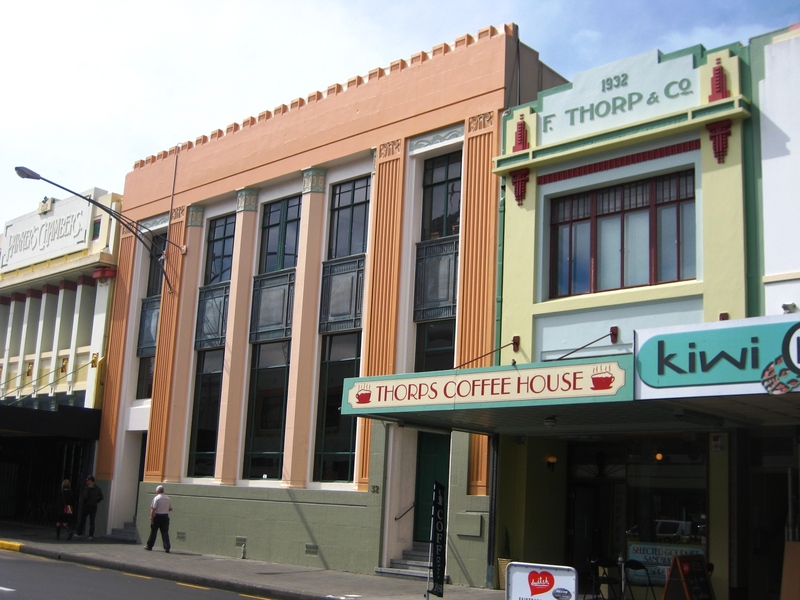 A row of shops in downtown Napier. 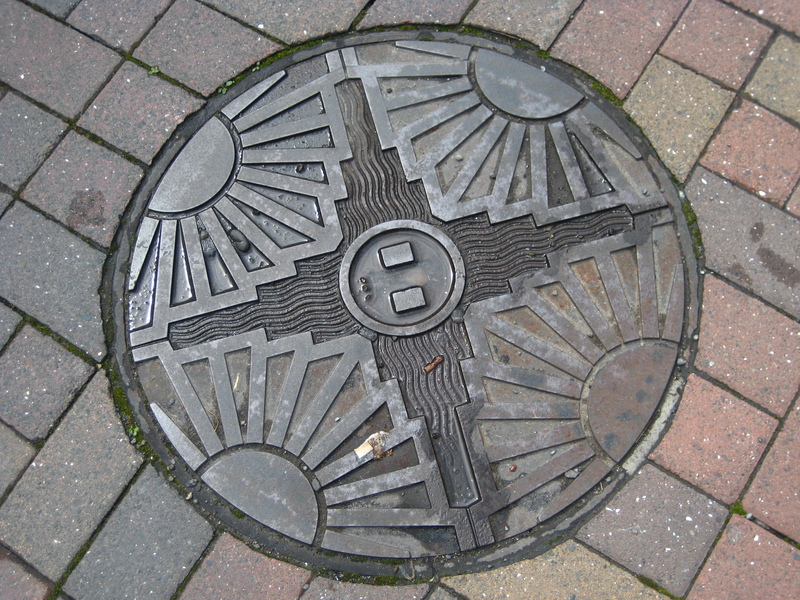 Even the manhole covers get Deco'd. 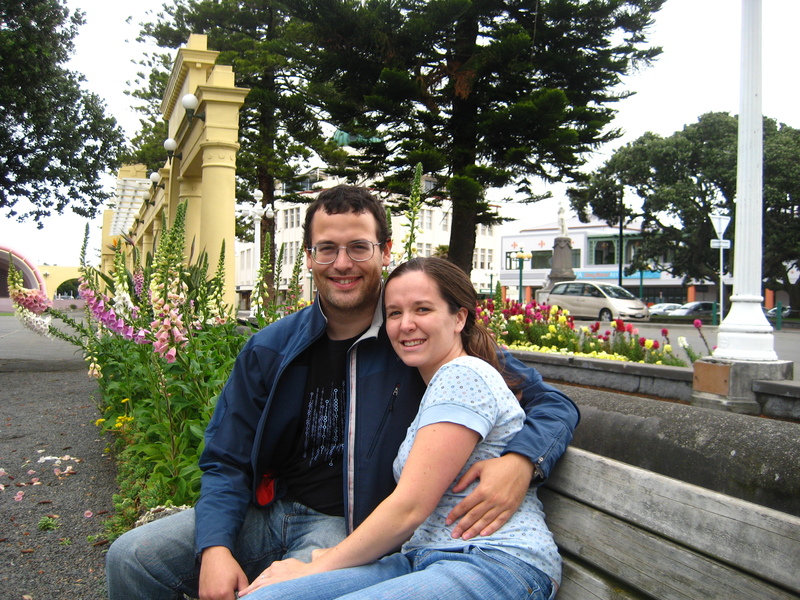 Us in the gardens along Napier's beachfront. 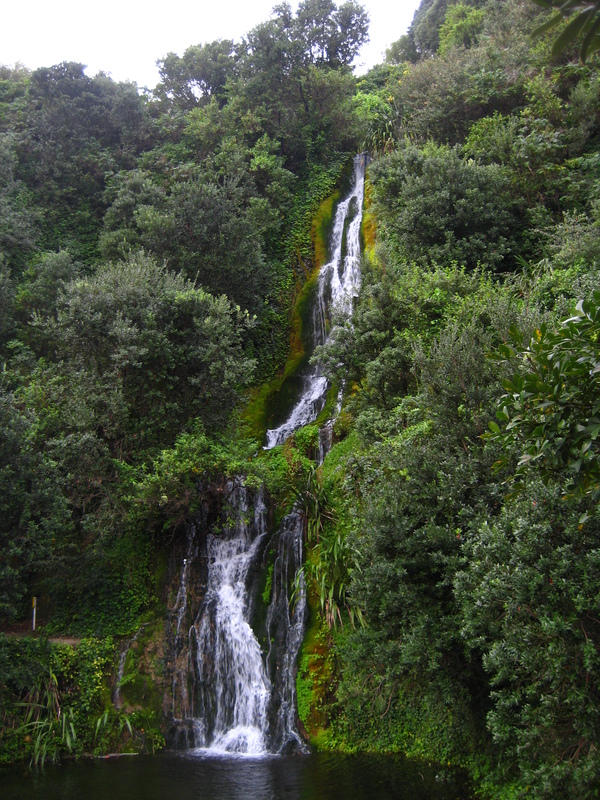 This waterfall, on the edge of town, was apparently built by prison labor. More pictures to come, featuring alcohol, tobacco, and firearms cheese! This entry was posted on October 9, 2008 at 12:47 pm and is filed under Uncategorized. You can follow any responses to this entry through the RSS 2.0 feed. You can leave a response, or trackback from your own site.